Effective human resources management is a key component of any organization’s sustainability program. 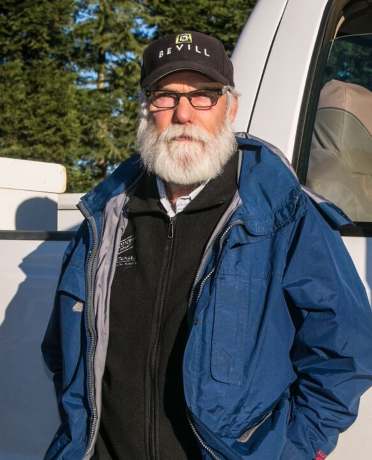 At Bevill Vineyard Management, owner, Duff Bevill, knows that attracting and retaining reliable, skilled vineyard workers can improve productivity, profitability and sustainability. Job creation, training and managerial development strengthens and enhances the quality of community life. From the late 1990’s through 2001, the California Association of Winegrape Growers worked closely with the Wine Institute to develop a new workbook, published in 2002, promoting continuous improvement through sustainable practices – this partnership is known as the California Sustainable Winegrowing Alliance. For many growers, sustainability means taking care of the land for the long term by adopting best practices. For Duff, it’s a holistic approach. It means doing things that are economically viable, environmentally sound and socially responsible. The social aspect includes taking good care of your employees. “We constantly watch out for their wellbeing. Our foremen teach workers how to do their jobs and prepare for them for the day’s work. On cold mornings, they advise our workers to lightly exercise to warm up,” he said. Duff has paid far above minimum wage levels for decades, but when he asks workers what’s important to them – surprisingly, pay is not their number 1 concern. Being treated with respect, liking the people they work with (including supervisors), and the ability to take PTO and time off forholidays ranks higher than pay or companyprovided health insurance. “Good health makes good employees. Once an employee works with us for a year, he or she qualifies for a raise; receive paid holidays, PTO as well as health coverage. “We encourage our teams to use the insurance first to get base line physical exams and then access it for preventative care”. Today one out of every three farm workers is a woman. Looking ahead, Duff anticipates childcare for workers becoming an important issue with his employees. This will be an area of review each year. The Affordable Care Act will also begin covering some seasonal workers in 2016. In February 2015 Bevill Vineyard Management will become CCSW certified. Duff says sustainability originated within the grower community, and he is whole-heartedly behind it.